That looks great! But I can't find the Free Text (html) box. I can't see it in my Power Tools. 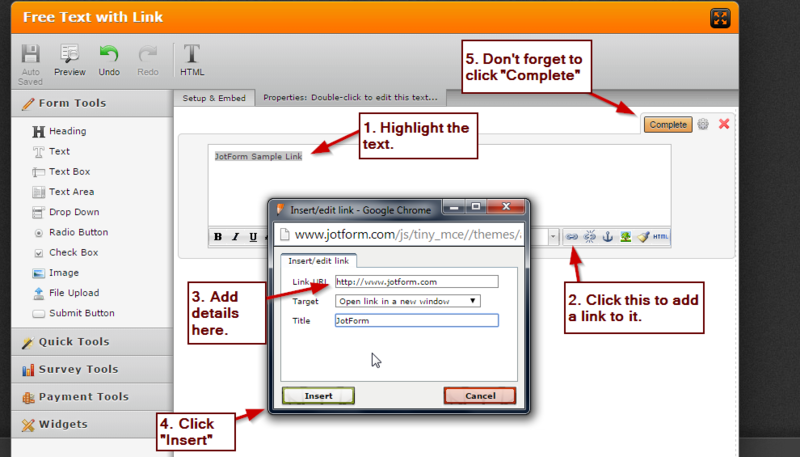 You can add links to free text, you can do this by following the screenshot below. 1. Add the field "Text" under Form Tools. Click the "Edit HTML". You can also find an HTML editor and a direct link function there. 2. 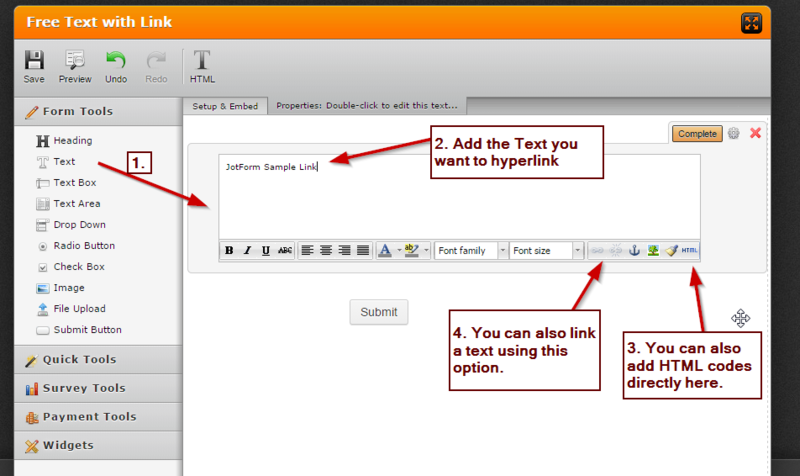 Highlight the text and click the add hyperlink button. Don't forget to click "Complete" when you're done.